It does not matter as much how hard you train, as it matters how well you “refuel” your body post-workout session. In order to get the desired results from your training- be it the sculpted, toned body you are looking for or getting fitter & stronger is your goal- what you eat following exercise is crucial and can have a major impact on your results. Why is “Recovery Nutrition” important? Post a workout, your body is in a catabolic state (process of breakdown) because of many biochemical, metabolic & hormonal changes that has taken place during the exercise. It has depleted its muscle glycogen reserves (body’s stored fuel), the catabolic hormone cortisol has been on a surge & then there are the free radicals (chemically unstable molecules) that have been generated during the exercise. The good news is that this presents an “anabolic window of opportunity” Anabolism refers to the process of building up. By consuming proper nutrients post-workout, you will be able to arrest further muscle breakdown, initiate the re-synthesis of fuel reserves, initiate the rebuilding of damaged tissue, bring down cortisol levels, accelerate removal of metabolic by products (lactic acid, CO2). Hence, having a post-workout fuelling strategy in place is extremely important for improvements in both body composition (fat loss) and exercise performance, faster recovery, preventing fatigue and resisting injury. Insulin sensitivity is heightened immediately after exercise, which means that ideally you should consume your post-workout meal as soon as you finish your workout. The quicker you feed your body, the better nutrient delivery to the muscles and more nutrient & glucose uptake by them to utilize for repair. Another physiological effect of exercise is the immediate increase in the blood flow to the muscles. Hence, the delivery of protein, carbs, vitamins, minerals, water etc. is also enhanced, resulting in greater muscle protein synthesis. But since we live in a ‘real’ world v/s an ‘ideal’ one, it may be possible that at times, you are unable to consume your post-workout meal immediately after cooling down at the gym (for e.g. some day you may be rushed for office) Then know that, all is not lost. The “anabolic window of opportunity” lasts for at least a couple of hours following exercise so if not right after workout, do make sure you take in the nutrients as soon as you can! 1. Rehydrate– It is crucial to make up for the loss of fluids and electrolytes as your body is in a dehydrated state post-workout. Among other health benefits, staying properly hydrated will help your body be better able to deliver the nutrients that your cells and muscles need in order to repair themselves. The bottom line: Ensure you have water post exercise and also later through the day. The best way to check if you are having enough water is to look for your urine colour- should be crystal clear, not cloudy. Caffeine has shown to disrupt post-exercise insulin action, thereby impairing your body’s ability to replenish glycogen stores and utilize protein for muscular repair. Hence, if you do want to indulge in your cup of coffee or tea, wait for a couple of hours after your workout. 2.Replenish– One of the primary goals post-exercise is to replenish glycogen reserves (stored carbohydrate in muscle & liver) that gets depleted during training. Post-workout, you should consume carbohydrates that come from simple, high-glycemic sources so that they can quickly do its job. They will break down quickly in your gut, sending a surge of sugar into your bloodstream and raising your blood glucose which in turn, will spike insulin levels. Since insulin has both anabolic and anti-catabolic functions, it will accelerate protein synthesis, inhibit protein breakdown, and shuttle glycogen into cells. And this is one instance where elevated insulin won’t promote increases in body fat. Because your muscles & liver are literally starved, nutrients will tend to be used for muscle building & repair rather than fat storage. Other than being high GI, carbs that you consume should be light and easy to digest so that it does not overload the gastro-intestinal system, disrupting the blood flow to the worked-out muscles. Some research shows that carbohydrate-rich foods containing a combination of glucose and fructose is ideal, here. This is because glucose is converted to muscle glycogen, whereas fructose preferentially replenishes liver glycogen (glucose is of limited utility to the liver, a phenomenon called the “glucose paradox”). Thus, the two types of sugar work in synergy to replenish the glycogen stores of the body. The bottom line: Include a variety of carbohydrates post-exercise. Few good choices are sugarcane juice, banana, boiled potato, potato sandwich. 3.Recover– The other main nutritional objective post-workout is to supply sufficient amino acids (protein) for muscle tissue repair. If protein intake is sub-optimal following training, recovery is hampered and results are compromised. When amino acids are consumed following training, protein synthesis increases, optimizing the development of lean muscle tissue. Increase in lean muscle tissue is important for fat loss, change in body composition and improved exercise performance. Protein should preferably be in the form of a high-biological value (BV) protein powder, that which is easy to digest and readily available, absorbed & assimilated in the body. A fast-acting protein such as whey works best. Because it is rapidly assimilated, whey reaches your muscles quickly, thereby expediting repair. The BCAAs (branched chain amino acids) in whey protein keeps the insulin sensitive and boosts your immunity, amongst many other things. The bottom line: Once you have had your carb-rich food, have a whey protein shake mixing whey protein powder in water. 4.Revitalize– Make sure to incorporate key vitamins and minerals in your post-workout meal that will help to recover and repair faster. Antioxidants is of prime importance here as it will negate the free radical effect of exercise that interferes with body’s recovery mechanism. Important antioxidants are Vit C, Vit E, Vit A, and minerals Selenium, Zinc, Chromium. Apart from its antioxidant effect, these minerals also have an insulin-like effect thus accelerating the anabolism process post workout. The bottom line: Take separate vitamin supplements (of A, C, E) along with a supplement of Zinc, Selenium, Chromium with your post work-out meal. Plan your post-workout meals right and get incredible results from your workout! Stay fit, stay young! NOTE: This article was written by me for MyBeautyGym.Com & was published on 18th August 2017. The latest buzzword in the fitness industry- “Functional Fitness” has caught on with all the gym enthusiasts. With more and more people using Functional Training, it is definitely the most hyped workout craze today. But what does the term “Functional Fitness Training” really mean? Functional as the word suggests is Practical, Useful, Occupational, Utilitarian. To have more strength, stamina, efficiency in your daily movements is essentially what Functional Fitness is. The ability to do everyday tasks – walking the stairs, carrying groceries, lifting luggage at the airport, picking up your baby off the floor- without becoming fatigued. Functional Fitness Training, thereby, involves exercises that have a high carryover to work & daily living activities. Looking at exercises as “Functional” and “Non-functional”? – What does research say? A lot of concepts are being promoted as to how to achieve fitness that is functional which are unfortunately, not in sync with the scientific study & research papers. Let us dispel some of the popular myths & delve into the facts of Functional v/s Non-Functional Training. It is widely accepted that lifting a certain amount of weight in an idealized posture created by a gym machine does not focus on building a body capable of doing real-life activities in real-life positions. Fact 1 # A study to evaluate the effects of strength training on functional capability recruited elderly people (90 years & above) and trained them exclusively on a leg extension machine, three days/ week. After eight weeks of resistance machine training, the subjects increased their lower body strength by 175% and their functional scores on a test of walking and balance improved by approximately 48%. Out of the ten participants, two of them were also able to walk without the assistance of their canes! Though dismissed by functional training proponents as “non-functional”, the study shows that exercise machine training does improve functional performance enormously. Central to the design of any fitness program is the principle of specificity, hence free weights will tend to promote better results because they more closely approximate the way functional tasks are performed. But working out on exercise machines also result in functional improvements big time. Another important point is that for those who are starting out with a low fitness level and/or are deconditioned, may be machine training is all that is required to sufficiently improve their efficiency of carrying out activities of daily living (ADL), thereby improving their functionality. Using principles of exercise science- Structured, Scientific, Progressive, they could then be gradually introduced to free weights exercise that would challenge their body in three-dimensional space. Therefore, it can be misleading to refer to exercise as either “functional” or “non-functional”. As a matter of fact, there is no exercise that is “non-functional”. Some exercises could be more functional than others depending on the individual, his fitness level, his goals and his functional task requirements. Unstable surface training involves training that uses implements like BOSU, wobble boards, foam rollers, stability balls, balance discs etc. The idea is to induce instability using these devices during workouts. Exercising on unstable surfaces challenge neuromuscular pattern, and hence they are thought to produce greater improvements in functional performance. Fact 2# The majority of the population hitting the gym for functional training are everyday people with very modest task requirements. Their goals usually vary from weight loss to staying healthy and looking fit. Also, what we need to remember is that during our work or daily life, most of all our tasks are conducted on stable surfaces- stable terrain, roads, floors, table, desks etc. Therefore, applying the principle of specificity, it makes sense to train mostly on stable surfaces as it will lead to maximal and optimal functional transfer- the most benefit for daily use. Also, the loss of ability to perform everyday tasks is primarily due to loss of muscle strength. Therefore, simply increasing our muscle strength will promote better functional capacity. Stable surface training (for e.g. bench press) increases strength to a greater degree than comparable exercises performed on unstable surfaces (for e.g. chest press on a stability ball), thereby making a strong case for prioritizing stable surface to unstable one, from a functional standpoint. Though research shows benefits of unstable surface training in rehabilitation of injuries & in core training, there are studies done that conclude that for general population & athletes, functional improvements are best achieved when a majority of training is carried out on stable surfaces. Hence, choosing to work out on a particular equipment or with a particular device is not about being “functional” or not, but exercise routines & choice of equipment should be largely matched to an individual’s needs, abilities, requirements and goals. Bottom line is that we need to put an end to categorizing exercises as “functional” or “non-functional” and realize that for most practical purposes all exercises can produce improvements in functional abilities. No exercise is bad. Each exercise is composed of “bio-motor” or “life-movement” abilities. These “bio-motor” abilities are strength, power, endurance, flexibility, coordination, balance, agility and speed. Its about taking a broad base approach & adhering to a well rounded & comprehensive training routine depending on task requirements, functional goals, individual current abilities, needs etc. This may be achieved through any type (or combination) of resistance training, whether it be machines, cables, balls, bands, body weight or free weights and anything that is going to deliver the desired results, using the principles of science- Specificity, Structured, Scientific and Progressive. The transformational journey of Annapurna Sharma is more than what the pictures depict. Though struggling with health issues (endometriosis, hormonal imbalance, surgery, bloating, depression) for 20 years, she has been able to quit her medicines, embrace a healthier lifestyle and come out stronger, fitter and healthier. Losing weight has been just a by product, as we say! 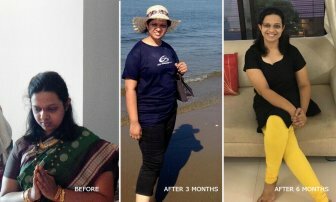 Not only did she lose tonnes of inches and dropped few sizes during the program, her skin now glows, she goes for treks to the Himalayas and is living life to the fullest- A natural consequence of eating right and not “avoiding” foods, structured exercising and not just “mindless” walks, being consistent and not going “on” and “off” the plan. Real change happens bit by bit. It takes great effort to become effortless at anything. There are no quick fixes. But at the end of it, is freedom- from low self esteem, pills, dullness and fatigue; and a feeling that you have finally arrived to conquer like a queen and stay at the top. And for Annapurna, it happened quite literally. Her picture at Bhrigu lake reached after trekking an altitude of 14,000 feet is a proof of that! TV commercials of Oats & packaged Cereals show “smart” and “modern” looking girls playing wives who are worried about their husbands’ rising cholesterol, heart health etc. The husband’s only chance of fixing his health issues is through the wife switching from home-cooked, traditional Indian breakfast meals, to oats and cereals- Healthier, tastier and so convenient. And then there are ads of children indulging in chocolate cereals that would make them taller, stronger and sharper. Really? 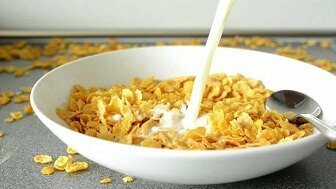 As a matter of fact, there’s nothing healthier about oats or these processed cereals than the traditional, home-cooked breakfast items that you and your body have been used to for years. In fact, the converse is true: the benefits from sticking to traditional Indian breakfast foods far outweigh the touted benefits of these foreign and ‘modern’ options. Most of the advertising of oats and processed breakfast cereals focus on three major ‘USPs’: convenience, taste and nutrition. As consumers, it is prudent to question and debunk the myths of these so-called benefits. No way! Just because the claim is repeated frequently doesn’t make it true. Unlike the western ‘consumerist culture’ of sweet, cold cereal breakfasts, we have a tradition of hot, savory breakfast that makes us feel more satiated, thereby reducing sweet cravings through the day. Oats is an acquired taste that our Indian palate has to really get used to. Our taste buds- and our bodies- are attuned to a particular taste, and it is in our best interests to have the food that we are genetically-compliant with. The value of locally available food cannot be overstated, as more research in the field of nutrition science continues to prove. For ages, we have espoused the ‘emotional’ benefits of mother’s cooking (or home cooked food, in general), and science also emphatically backs that up now. Let’s respect the fact that a lot of our inherent tastes are ‘all in the genes’! … hmm… and so are a pack of instant noodles or chips! You know what those foods generally get categorized as, don’t you: junk food. The question really is: convenience at what cost? What are we losing- in terms of quality, nutrition and taste- in the quest for ‘processed’ convenience? Unlike fresh, ghar kaa naashta, these industrialized and commercial ‘convenience ready-to-eat meals’ are loaded with preservatives, artificial colours, emulsifiers, flavouring agents. More importantly, it is worthwhile to ask ourselves how much more inconvenient it is to freshly cook a traditional Indian breakfast than to have a processed cereal or an oats upma or oats dosa? Just reflect on the innumerable breakfast choices available in our traditional ‘menu’ that you can cook in a matter of minutes. You will realise that the convenience argument being made by marketers of modern breakfast falls flat. Oats commercials talk about it being rich in soluble fibre that reduces cholesterol and aids weight loss. What remains unsaid is that the grains, pulses and millets that go into making our traditional breakfast are also a rich source of soluble fibre and can fulfill the same function too. Also, it is important to remember that excess fibre is not a great thing to have as it can interfere with the absorption of other important minerals like zinc, iron and calcium in the body. Apart from the optimum fibre content, the coming together of grains and pulses that are rich in B vitamins, minerals, amino acids along with essential fats like ghee, home butter and the ‘tadka’ of jeera, mustard etc. with immunity boosting spices like turmeric in fresh, home breakfasts makes your meal more wholesome and healthier. The better absorption and assimilation of these nutrients improves your digestion & the metabolism of your body, keeps blood sugar levels stable making you feel more energetic and lighter for the rest of the day. 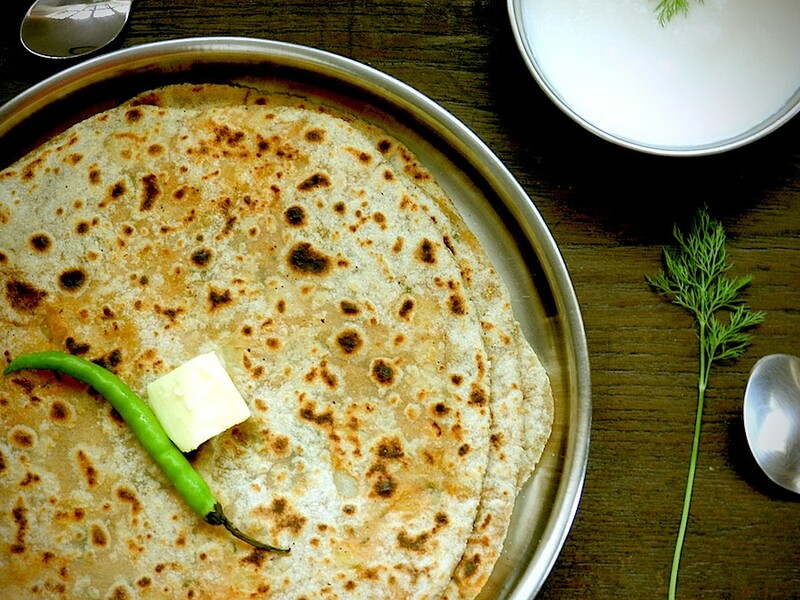 Though often riddled with fear & suspicion, parathas for breakfast will only make you successfully lose weight, in a sensible and sustainable manner. In India, we cherish the idea of unity in diversity, the confluence of so many different cultures and languages to form the whole. Interestingly, this concept of diversity is equally important when it comes to diet and nutrition and their impact on overall health and well-being of a person. We are blessed with an incomparable array of local dietary options that use fresh ingredients and can be cooked easily using ‘ageless’ recipes. It is high-time, we literally counted our ‘diversity’ blessings and started enjoying the immense variety that is waiting to be enjoyed. The Kolis, Mumbai’s fishermen community, have been celebrating the annual festival of “Nariyal Purnima”, the “Coconut festival” since ancient times, this year being celebrated on 7th August. During the monsoon season, fishermen take a break and avoid venturing into the high seas. The day of “Nariyal Poornima” marks the end of the monsoon and beginning of the new business fishing season. 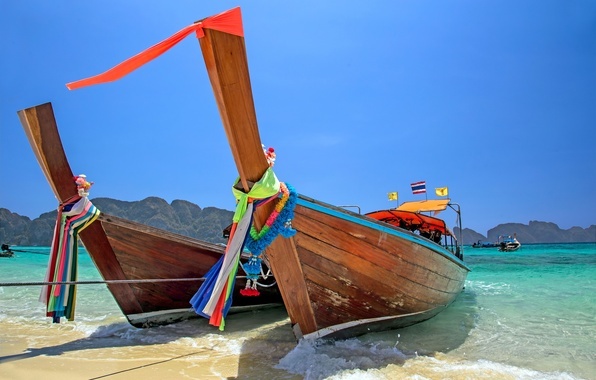 On this day, the fisherfolk offer coconut to the sea-God and pray for a safe journey ahead in the sea again. As per traditions Kolis know that after this day the wind strength and direction changes in favour of fishing. 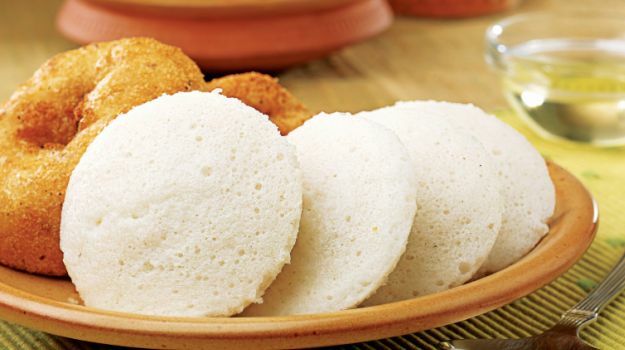 Like almost all festivals in India, “Narali Poornima” is also a reminder of the deeper and critical connection of food- health- environment-culture. A reminder of how food diversity is linked to diversity in the biological world and why this biodiversity should be valued at all costs. The upwelling and nutrient content of the waters during the monsoons is conducive to fish breeding, hence it is important to spare them to breed in their best season. The native fishermen have been taking a break from fishing during the monsoon period before “Nariyal Poornima” since decades now, much before “sustainability” & “sustainable fishing” became the latest buzzwords in health and environment corridors. 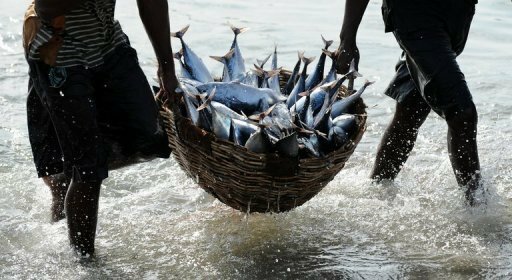 Since years, public health recommendations to eat more fish for it’s omega 3 fats has led to overfishing, indiscriminate fishing practises and irreversible collapse of marine environment in the oceans globally. Looking at the current trend, marine ecologists predict that fish stocks are set to collapse in 40 years and propose sustainable fishing, in order to restore marine ecosystem health. The newest diet trend of “Reducetarianism” is about the world waking up to reduce animal protein intake and eating more plant based foods. Since time immemorial, the indigenous fishing community always had a sustainable way of eating its fish. 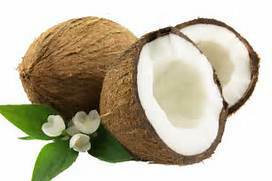 They instinctively had the wisdom to cherish food diversity, to stop eating limited resources like fish so as to allow it to nurture and grow in its best mating season and switch to other essential “plant” based fats like coconut for that time period. They already knew what the latest Nutrition research is now discovering: it’s not about having a single nutrient for heart health, its about having diversity in food. If fishes are good sources of omega 3s, so are nuts, homemade butter and ghee, beans, mangoes, lentils, varieties of rice and many more. During monsoon month like shravan, most people in India have been giving up eating meat and fish and turning “Reducetarian”. Reducetarianism is hence, not a new concept for Indian culture. It’s a new name to it’s ancient philosophy of eating “food” not “nutrients”, of eating in a way that it adds value not only to you, but also causes least possible harm to our planet and maintains ecological balance globally. These pictures talk about Aditi Saraf‘s journey to weight loss and fitness. Once struggling with PCOD/ PCOS, she showed immense courage in giving lifestyle a fair chance instead of popping pills prescribed by her doctors. The result of her consistent efforts is a much confident Aditi who has lost 10 inches, is free from menstrual pains, and most importantly is happy & content. Proud of you girl!